With the Sun acquisition complete, we can finally start talking about what this means for various product lines. Thomas Kurian touched on the identity management strategy in the big Wednesday launch event, and I recapped what he said in my previous blog post. Now, the next level of detail has come from Hasan Rizvi, SVP for Oracle Fusion Middleware, in this product strategy webcast. Definitely take the time to check out the webcast, as there is a lot of good information in there. Below is a brief overview for each of the IdM product areas. Sun Directory Server Enterprise Edition (DSEE) and Oracle Internet Directory (OID) will co-exist as strategic products (contrary to some interpretations out there). This is because each product has a unique set of capabilities that address different market segments and use cases. Oracle will innovate both directories, which includes adding some of the administration, reporting and systems management capabilities that have been built for the OID and OVD products to the DSEE product. Sun DSEE will be re-branded as Oracle Directory Server Enterprise Edition. Meanwhile, Sun OpenDS will continue as an open-source project. Oracle Virtual Directory will be the strategic product for identity virtualization. Oracle Access Manager will be the strategic product for web single sign-on. Sun OpenSSO will continue on as an open-source project for the community. Sun’s Fedlet capabilities will be integrated into Oracle Identity Federation, which will be the strategic product for Federated Single Sign-On. Sun’s Secure Token Service will become part of the Oracle Access Management Suite going forward. Products that aren’t impacted by the Sun acquisition, and therefore remain strategic for their specific areas are Oracle Entitlement Server (fine-grained authorization), Oracle Adaptive Access Manager (strong authentication and risk-based access management), Oracle Web Services Manager (SOA + Web Services security) and Oracle Enterprise SSO (SSO for Desktop and Mainframes). Oracle Identity Manager will be the strategic identity administration and provisioning product moving forward. Sun Identity Manager, re-branded as Oracle Waveset (didn’t think I’d hear that name again outside of reunions), will be maintained for quite some time, and some of its key features like IDE integration and tamper-proof auditing will be integrated into OIM. Sun Role Manager will be re-branded as Oracle Identity Analytics and will become the strategic identity governance product in the Oracle Identity Management Suite. It will provide capabilities in the area of role mining, compliance attestation, and identity dashboards and reports, and will be enhanced to leverage some of the best-of-breed capabilities that Oracle has in the area of business intelligence and data mining. Note that role lifecycle management capabilities continue to be offered currently via the Oracle Role Manager product. In most cases, Oracle will be developing migration tools to help customers move to the new strategic products. 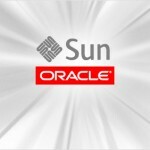 Oracle will be providing support and maintenance for all the Sun products for a very long period of time, including lifetime support in certain cases. Obviously, there will be a lot more information coming in the next few weeks/months. Stay tuned, and check out oracle.com/identity for more information. OAS4OS Ships Today. Unix Admins Rejoice!